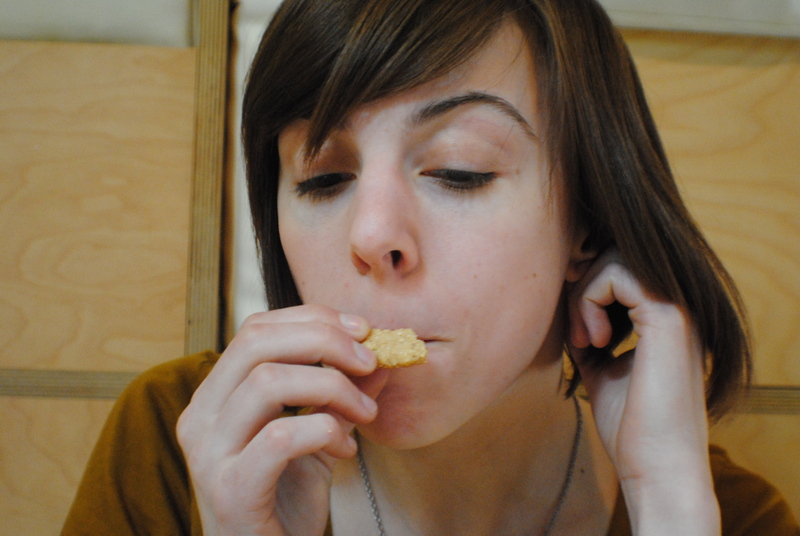 “You are what you eat” is a idiom easier said than done. Ashton and I have recently started our journey down the road they call veganism. As on-and-off vegetarians, it didn’t take much to take the plunge into a diet completely void of animal-based foods. Logical next step, really. But as I said, easier said than done. Two things: 1) we’ve slipped up a few times already (honey here and there, we caved and got a five-cheese pizza one night) and 2) being vegan (and gluten-free) in Michigan is harder than one thinks. Trying to find a restaurant with a tofu option? Hard enough. Chances that that same menu item doesn’t have eggs/milk in it? Absolutely daunting! Until now. 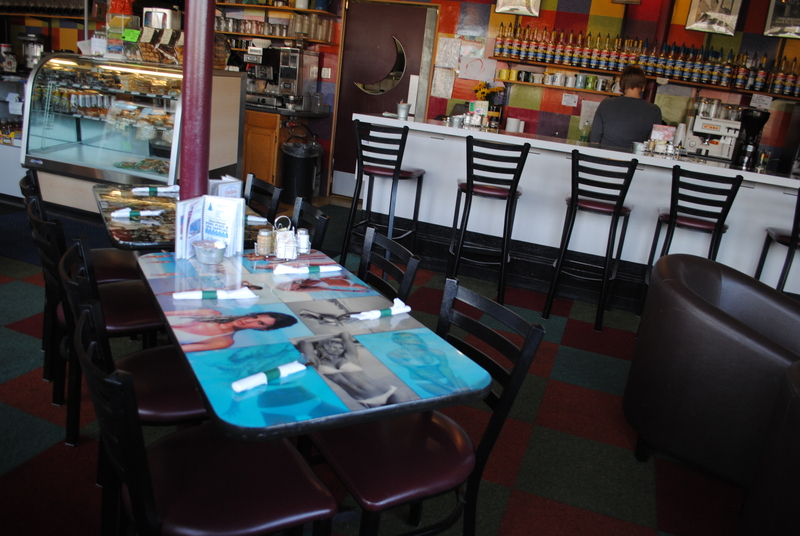 Om Cafe is a place even an insatiable meat eater could find any number of satisfying, positively delicious meals. And for vegan/vegetarians/gluten-free folk, it’s an absolute godsend. Healthy eating is not so much preached here as it is a given. Chatting with co-owner Jason Thibodeau, he told us that he was raised vegetarian and so simply doesn’t crave meat. Thus, Om Cafe (founded by his mother) lives by a macrobiotic philosophy. Healthy grains, local fruits and vegetables and an avoidance of processed, refined foods. The sort of “this is just the way it should be” ethos shines through onto Om’s thoughtful and healthful menu. 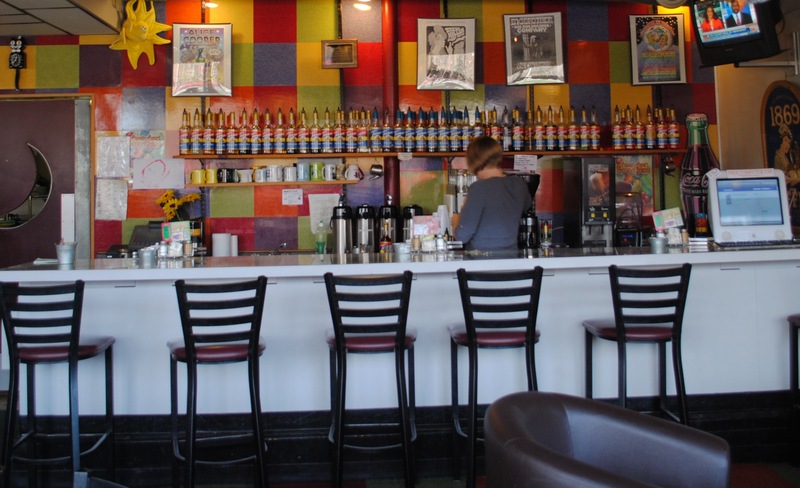 In the beverage department, Om offers plenty of all natural juices, sodas and teas. During our visit I couldn’t pass up the house tea while Ashton went for an all-natural, cane juice-sweetened cream soda which satisfied her sweet tooth and her appetite for fizzy things. Like I mentioned before, a big issue being vegan is that unless you love eating salads every time you go out, the pickins’ can be pretty slim. That’s why we appreciate a place that like Om that offers not only the typical tofu, but other options like tempeh (soy protein) and a delicious-sounding seitan (wheat protein). 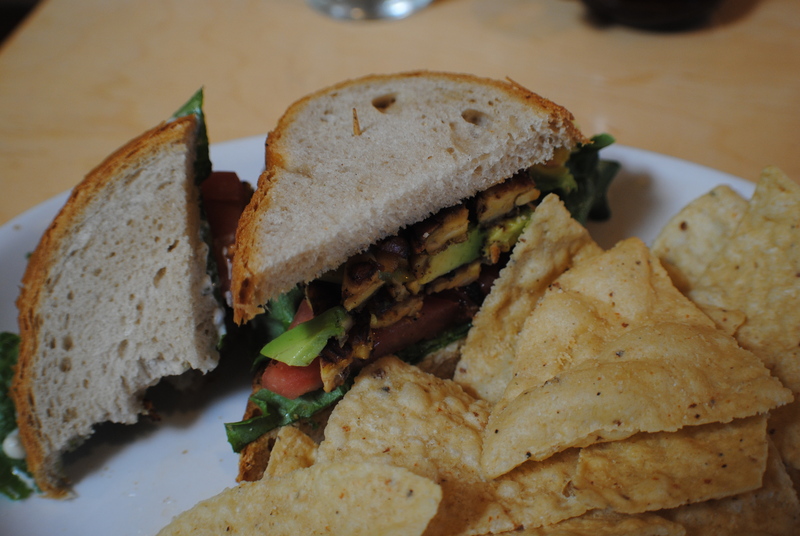 After a few scans of the lunch menu, I decided on the TLT (tempeh, lettuce & tomato) on sourdough. Sure the tempeh was great (grilled to a savory crisp) but it was the veggies I was most impressed with. The tomatoes cold, juicy and obviously fresh and the avocado slices were more than welcome, adding some heft and texture to the already loaded sandwich. For Ashton, she tried what us folks would call “loaded nachos” vegan-style. El Mexicano was a bed of corn tortilla chips, beans, dairy-free cheese and a pile of fresh veggies lettuce, tomotos, avocado, olives and jalepenos. Her thoughts: muy bueno. Dessert brought us to a gluten-free vegan almond cookie with jam which was of course awesome. The rest of the dessert menu offered tons of equally-appetizing sounding cakes and fresh fuit pies (all vegan, too). Om offers rotating daily specials, so give their Facebook a like to keep up-to-date on what’s coming out of the kitchen. 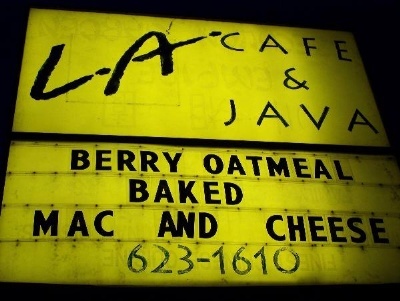 For us, it’s not a matter of if we’ll be back to Om Cafe, it’s when.